As rumors, iPhone 8 and iPhone X are fianlly unveiled with some new features on the basis of old aspects improved. For example, iPhone 8 ditches away the traditional Touch ID, instead it comes to us with the more advanced and secure Face ID (iris scanning). What's better, Apple eventually puts its new tech wireless charging tech to iPhone 8/Plus and iPhone X, which would obviously become the biggest selling point of iPhone X/8. All of these iPhone 8 pros mean a better user experience on iPhone 8. That's not the end. The iPhone X sports with 5.8-inch OLED display at 436x1125 resolution, up to 521PPI. It would be wonderful for you to watch 4K, virtual reality videos on iPhone X. So how to watch YouTube videos with iPhone 8 or iPhone X? 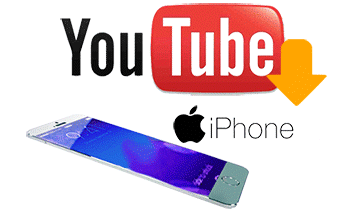 If you would like to get YouTube videos download to iPhone X/8/Plus to watch offline, all the excellent YouTube downloader for iPhone X/8 and apps are here. 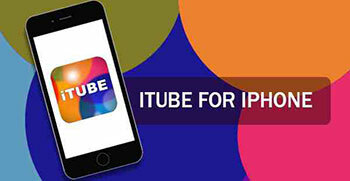 Free downloading YouTube videos to iPhone X/8/Plus is quite difficult since a qualified third-party iPhone 8 YouTube downloader is needed. Whereas the unevenness downloaders for iPhone X/8/7 on the market caused a variety of problems like embeded plug-ins, adware, malware etc. Fortunately, MacX Video Converter Pro can save you from awkward YouTube video files download situation. Why Choose This iPhone 8 YouTube Video Downloader? Download YouTube videos to iPhone 8 in 4K HD 1080p/720p HD, MP4/FLV/MOV or other YouTube supported video formats. Convert downloaded YouTube videos to iPhone 8/plus/6S/SE/6/5S, iPad Pro/mini 4/Air 2, Samsung Galaxy S7/Note 7 etc. Intel QSV hardware acceleration & multi-core CPU utility tech makes conversion 5X faster than any others. Convert video to MP4, MOV, AVI, MKV, MP3, iPhone Ringtone, etc. 1:1 record the on-screen activity, tutorial, non-downloadable YouTube video, etc. Free edit video (crop/trim/add subtitles) and adjust parameters. Step 1: To free download YouTube HD/SD video to iPhone 8/Plus, free download iPhone video downloader (or Windows version for PC), and launch it. Click "YouTube" icon, then "+" button to enter YouTube videos to iPhone 8 download window. Click "paste & analyze" button to detect the target video URL copied from YouTube. Step 2: Choose the output format. To download YouTube videos to iPhone 8, choose MP4 format for its good compatibility with iPhone X/iPhone 8. Step 3: Set the output folder to save the downloaded YouTube videos by clicking "Browse" button. Step 4: Hit "Download Now" button to start downloading YouTube videos for iPhone 8. By the way, "Auto add to convert" stands for this iPhone 8 YouTube offline downloader will skip to the conversion page after downloading finished. Thus, you just need to choose iPhone 8/8 Plus or iPhone X. Note: This YouTube downloader for iPhone 8 also allows you to download movies for iPhone 8 as well as download TV shows to iPhone from 1000 more movie video sharing sites, covering YouTube, Vimeo, Vevo, Dailymotion, Metacafe, Myspace and more in HD, 4K, SD with fast speed. Step 1: Free download iPhone file manager on macOS (Mojave incl.) or download for PC and run it. Connect iPhone 8 to computer via USB cable. Turn off iTunes auto sync to avoid any data loss. Step 2: To download YouTube videos to iPhone 8 or iPhone X, click "Video" on the main interface. Click "Add Video" and select the downloaded YouTube videos from computer. And then click "Open". Step 3: Click "Sync" button to add downloaded YouTube videos to iPhone 8 from Mac/PC. Note: It will solve the problem of how to backup iPhone 8 easily without iTunes in one click. And it will also transfer video from iphone to mac/PC, so that you can move the YouTube videos downloaded with apps to computer to save more space on iPhone 8. Actually, downloader for iPhone 8/Plus is not the only way to get YouTube videos download. 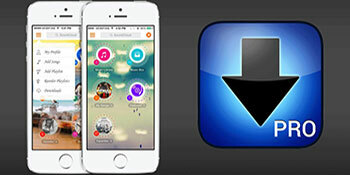 mobile download apps are also widely welcomed for iPhone 8 users. And the biggest advantage of the App is that it could directly download YouTube video to iPhone 8 or iPhone X. Now let's check the top iPhone 8 YouTube downloader Apps. With those iPhone 8 YouTube apps, you will save from the step of movie to iPhone transfer and watch offline directly. YouTube Red is a monthly-paid subscription service by YouTube, exclusively for users in the United States, Australia and New Zealand from Oct, 2015. It provides advertising-free streaming of videos hosted by the service, offline and background playback of videos on mobile devices, and access to advertising-free music streaming. YouTube Red app is also a good YouTube video downloader for iPhone 8/Plus. If you are a member of YouTube Red, you can download YouTube Red to MP4, MP3 to iPhone 8 offline for 30 days. iDownloader is a best free YouTube downloader for iPhone 8 & iPhone X which comprehensively offers multi features on your iPhone to explore like a personal computer. It allows you simultaneously download up to 50 files from YouTube to iPhone 8/Plus with ultra-fast speed; background download with resumption of disturbed downloads; as well as some additional functions such as being the best web browser, media player, file viewer, file manager etc. 1. "It's amazing apps I can watch movie even without internet connection." 2. "Let you listen to music without wifi and is extremely convenient." 3. "I love this i can download music and sometimes movies."